Davida Price, LMFT, is a Positive Discipline Parent Educator and will present on how to use Positive Discipline strategies and materials in parent coaching and family therapy. No previous knowledge of Positive Discipline needed, attendees will leave feeling confident in using several interventions from Positive Discipline and will be able to offer Positive Discipline as a resource for parents and families. Davida is the Program Director at the Center for Discovery Resilience Teen Mental Health Outpatient Program in San Diego. Davida is a Licensed Marriage and Family Therapist, Board Certified Music Therapist, and Certified Yoga Teacher. Davida has worked both in an agency and private practice setting and has experience working with a wide range of ages and individuals experiencing a variety of diagnoses. Davida’s work using “Rock Therapy” with teens has been written about in the San Diego Reader, San Diego Women’s Magazine, and has been featured on About.com. 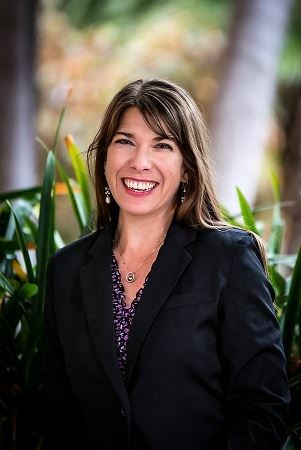 Davida is an advocate for mental health and served on the San Diego Chapter of the California Association of Marriage and Family Therapists Board of Directors from 2011 to 2015. 1 CEU, light snacks, and a give away to our next event will be offered! *Please enter through the back entrance so as not to disturb clients. SD CAMFT would like to thank our Sponsor Center for Discovery for collaborating with us on this event! We offer diverse outpatient programming that includes family therapy, individual therapy, CBT, DBT, music therapy, creative arts, and yoga. We offer two levels of care: Partial Hospitalization Program (PHP) and an Intensive Outpatient Program (IOP). Our Partial Hospitalization Program is Monday through Friday from 8:00am-2:00pm. Clients are recommended to attend five days per week. Our Intensive Outpatient Program is offered Monday through Friday from 3:30-6:30pm and includes our Family Support in Recovery Group on Wednesday nights from 6:30-7:30pm. Clients are recommended to attend three to five days per week depending on needs for care. Center for Discovery takes most major insurances. Contact our Program Director, Davida Price, LMFT, MT-BC for more information, 858-412-5613. For admission and insurance verification please call 800-760-3934.